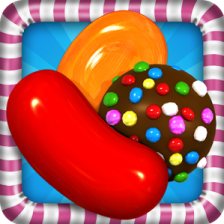 Candy Crush Level 142 is the 2nd gingerbread glade and 39th ingredient drop level of this game. To clear this level, you have to get two cherries and hazelnuts at the bottom. Furthermore, you have to achieve a total of 30,000 points in thirty five moves. If you happen to save some moves at the end of this level, you will receive extra points for striped candy being made immediately. Look for horizontal matches at the bottom. If you are to find an opening, begin on creating vertical striped candies with the ingredient in the same pipe. Want to know more about Candy Crush Level 142? Write us with your concerns and we will help you to move to the next level quickly . I need a little more help with level 142 of Candy Crush Saga. Any suggestions will be appreciated. Also, I have been unable to find any of your marvelous video walk brought for levels 130 & beyond. Could you please tell me where to look. Your help and videos are the best ones out there. Thanks so much for sharing. I look forward to hearing from you.